…is precisely what I thought when I downloaded these images. Truth be told, I was trying some different angles because I knew the usual above eye-level (wobbly chin minimizing) camera angle would completely obliterate the lashes that I worked so hard to apply. So then I did some shots with the camera pointing up at the lashes, but they were no good ‘cos you could see right up my nose and I’m neither denying nor confirming reports that we had a bogey situation. So, for the love of God, please don’t think this is an actual pose. But what I wanted to say was, wheee Red Cherry Lashes! If you don’t know about Red Cherry lashes, you’re missing out. It’s more likely that some of my lovely UK readers won’t have heard of them purely because availability isn’t quite so good here in the UK. I bought these (Red Cherry #600) last week from BuyEyelashes.co.uk and they arrived a few days later. I do own some other pairs but being the non false lash wearer that I am, I haven’t gotten around to trying them on yet. Let’s take a closer look at the lashes. 100% Human Hair. I’m sure this is supposed to be a good thing, they do feel very fluttery and naturalistic but is it just me who wonders exactly where this human hair comes from? I know you’re thinking India or the Far East but I don’t mean that. What I’m really thinking about, is the possibility that I’m wearing someone’s bum hair on my face. Looks good though doesn’t it? The bands on these Red Cherry #600s are beautifully pliable and thin enough to work with comfortably. I applied the lashes above with the help of my new Japonesque tool which I bought after Liloo said we all needed one. It does make a difference, but I’ll blog about that later. 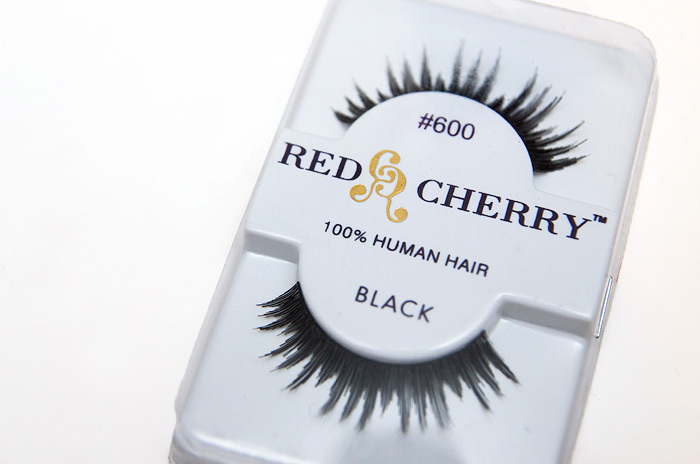 Red Cherry 600s are priced at £3.10 from BuyEyelashes.co.uk, or I have used this eBay seller before for Red Cherry lashes. So, there we have it. Bum hair, ridiculously thick eyeliner (that thing where you make it thicker to go over a booboo) and a picture that makes me look like I’m about to make love to myself. Have a lovely weekend special people. Love the lashes AND the liner! it might not be an actual pose but you look MODEL STUNNING!!! 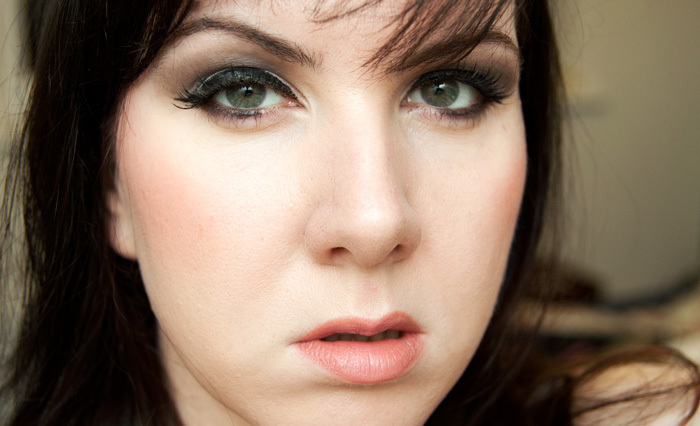 False lashes scare me a bit but I really like these… May just have to give them a go! That bum hair looks fantastic on you-thanks for giving me a laugh:) Your the greatest! That is a FIERCE look! You look like the next Bond girl. And, those lashes are great!! Hot!!! You look fierce! Nice lashes Love it! Lol at the bum hair! And the bogey situation. 😀 You look great though and the lashes are nice too. I can’t be bothered with falsies, but these do look nice. Oooooft! Get a load of you, wumman! Count me in for some bum hair falsies then. Lol, I specialise in that kind of eyeliner! That first picture is win, you like like you’re about to cutabitch. I’m a little scared now to be honest. Even so, you still look gorgeous and those lashes do too Posts like this are why I love your blog so much! Bum hair, hee hee. I love the pose! These lashes are awesome. I’m a little obsessed with buying lashes at the moment. I’d make love to you, not going to lie. You look beautiful. This cracked me up… so I thought I’d better comment to show appreciation (first timer an’ all that). Lashes looked decent, liner looked good. Loving the smize (don’t pretend you weren’t posing, I know that look anytime haha) Thanks for your blog, I like it muchly.